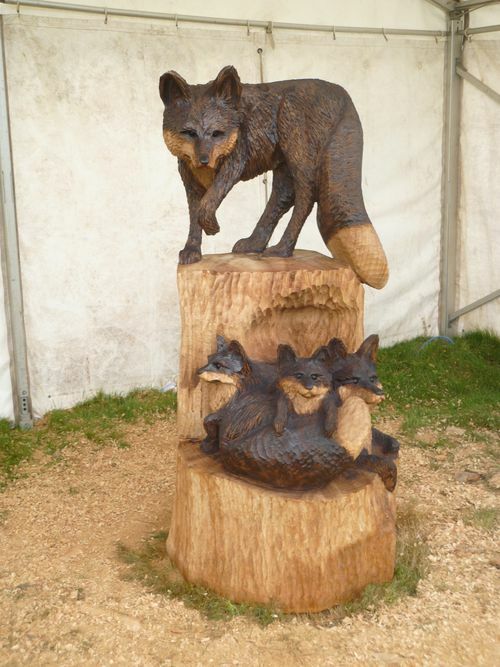 This Fox, Vixen and two kits were sculpted with chainsaws from a log of oak. The piece is about six feet tall overall. THIS CHAINSAW SCULPTURE IS FOR SALE.